Partly cloudy skies this evening will give way to cloudy skies and rain overnight. Thunder possible. Low 62F. Winds SSE at 10 to 15 mph. Chance of rain 60%.. Partly cloudy skies this evening will give way to cloudy skies and rain overnight. Thunder possible. Low 62F. Winds SSE at 10 to 15 mph. Chance of rain 60%. Clay County Sheriff Patrick Robinson is reporting that on April 14, 2019 at approximately 1:30 AM Clay County Sheriff Deputy Tommy Houston along with CSO Wes Brumley conducted a traffic stop on a white Chevrolet Blazer operating with one headlight on Paw Paw Road. Upon contact with the driver Amanda Saylor, 22 of South Highway 421 when she showed signs of impairment. The subject appeared to have fresh needle marks on her person. Field sobriety test were performed at which time through totality of circumstances showed signs of impairment. 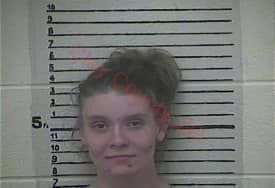 Also inside the vehicle was Jolene Marcum, 23 of Downey Hill Road who was arrested for being intoxicated and having fresh needle marks on her person, Donald Jarvis age 28 of Crawfish Road was also arrested for providing false identifiers to Deputies on scene. 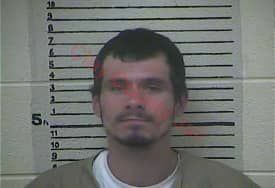 The photos attached is courtesy of the Clay County Detention Center and Deputy Houston.